Do you find yourself always trying to find that perfect storage idea for toys? I'm constantly looking for a great way to hide all of my daughters toys but yet make them accessible for her to play with at the same time. Here's what I came up with for her Barbie Doll Collection. This has been in use for several months and it works perfect! Easy for her to put away and easy for her to get back out to play with the next time! 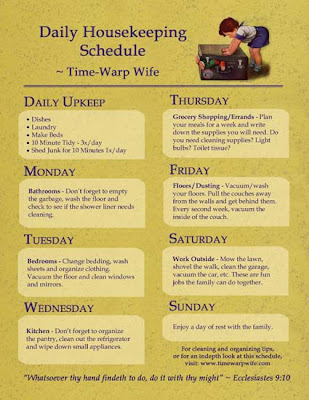 I found this on pinterest this week and I'm going to try to follow this cleaning plan - maybe by the weekends I won't be as overwhelmed! I'll let you know how it goes!! The organizing toys are always cool and fun giving for play. 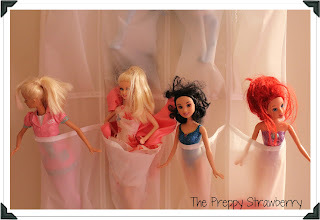 All these barbie dolls are looking superb, I loved them a lot. 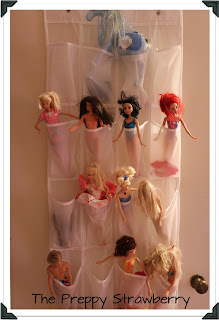 You should buy these dolls for you baby, because they love to play with dolls.